I’m a huge movie props fan. 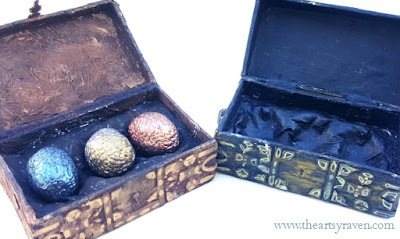 Sometimes I wish I had more money so I could buy amazing movie props, but because I love being creative I don’t know if I would buy them even if I did have the money. I love them, but I love being creative even more. Game of Thrones is a special and dark show, and while it has some issues I still watch it. It’s not my favourite show but it is one of the better ones. When I watched the first episode with my husband and one of his friends I had no idea what it was about, but was pleasantly surprised at the quality of the show, and that was when I fell in love with the dragon eggs chest and wanted one. 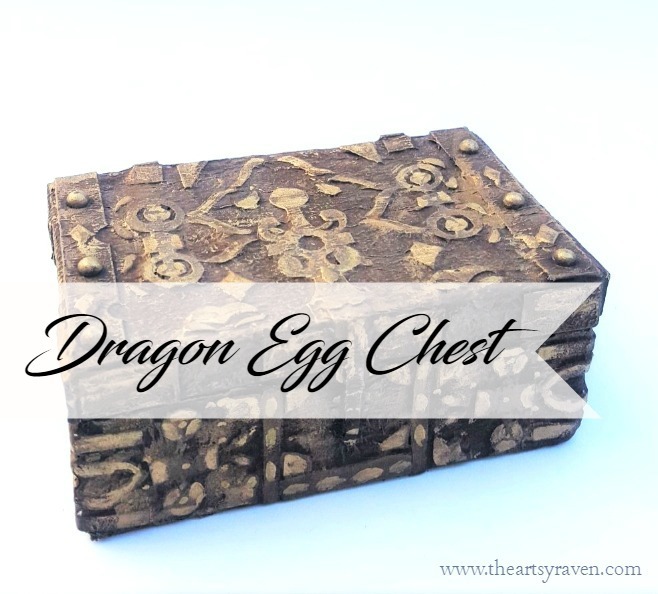 My husband is a huge dragon fan, and as he was also a fan of the books and show, I decided to make my own little chest with dragon eggs. He’s not that interested in the show or books any longer, but he loves whatever I make. 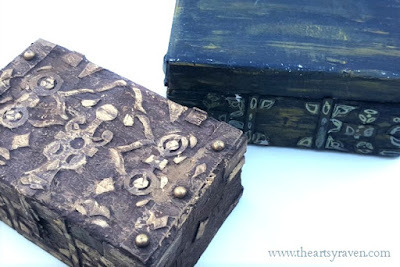 I don’t know when I made the first original chest, maybe around 2012, but that doesn’t matter as that version was crap (in my opinion) and so I decided to remake it this summer. When I made the first version I didn't have the tools I needed, or the time, or experience. I was rushing it and didn't do enough research. 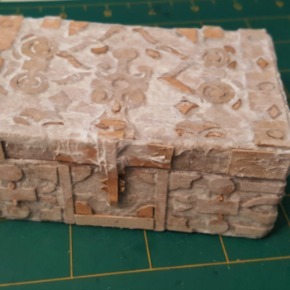 The lid didn't fit the bottom, and I didn't add all the details the chest had, neither had I done anything with the top of the chest. 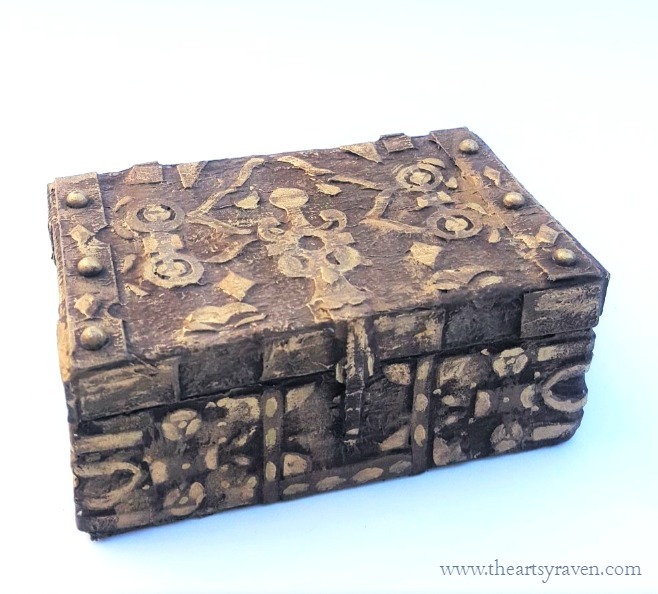 Finding good reference photos of the chest difficult, but I did find a few, and with the help of a few perfectly paused moments I was able to use the episode as well. I was a little surprised a prop like this lacks lots of pictures from the different sides, but it doesn’t matter, I made it. 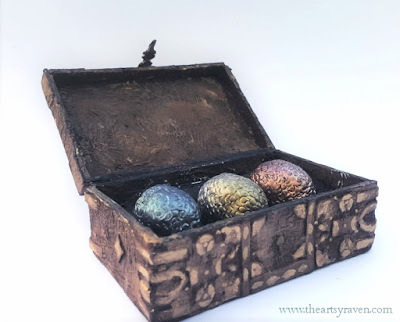 The eggs are also my second attempt at the dragon eggs, but even if they are better than the first pair I’m not fully happy about them and may attempt to make another set sometiems in the future. What I need to do is to figure out how to do the dragon scales without ruining it at the same time thanks to the clay being so soft. Are you watching Game of Thrones? Have you read the books? Do you like it or hate it? Do you have any favourite objects or characters?